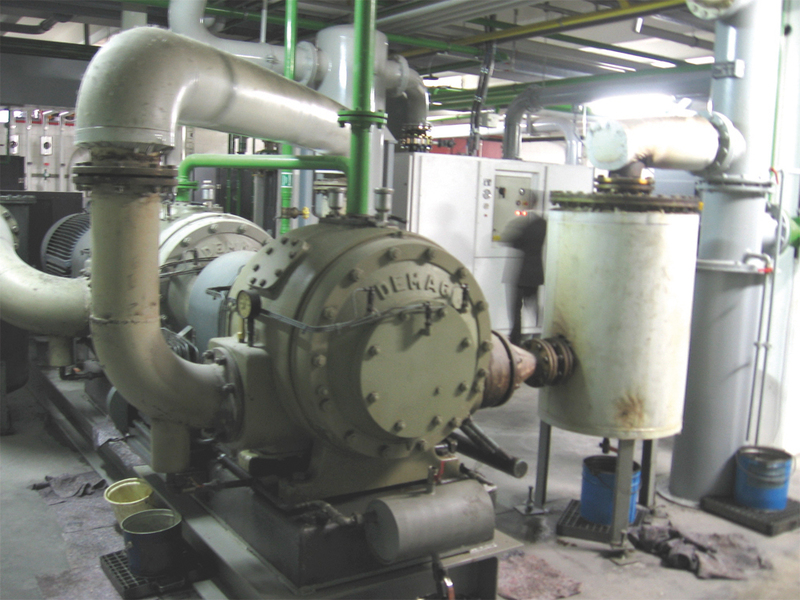 The first five Pneumofore vacuum pumps for Wiegand-Glas were installed in 2004 at the Steinbach and Grossbreitenbach plants in Germany. 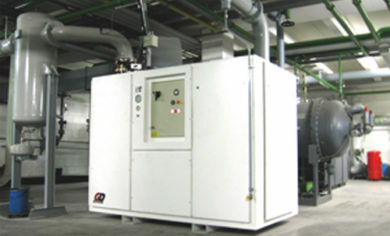 The air-cooled UV vacuum pumps successfully replaced old water-cooled Wittig units. 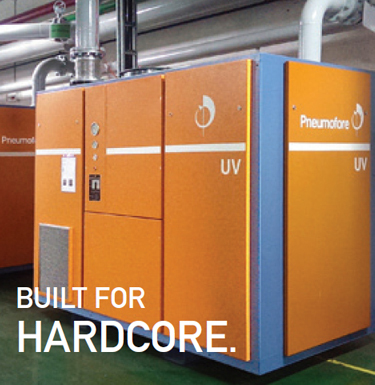 The results of the UV vacuum systems motivated the installation of more Pneumofore units over the years. Wiegand-Glas represents an important reference point in the worldwide hollow glass industry. They utilise innovative glassworks which are often a test field for the latest vacuum technologies. The company is traditionally focused on innovation and has been run for four generations by the same family. They, like Pnemofore, abide by the philosophy: invest now to save much more later. 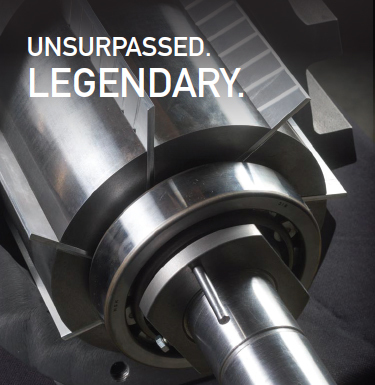 The Pneumofore UV vacuum pumps installed at Wiegand-Glas were initially sold by Gardner Denver – Wittig. They previously collaborated with Pneumofore selling UV vacuum pumps as ‘private label’ machines. At that time, Wiegand-Glas was seeking to update their technology and replace old Wittig WPSO pumps. 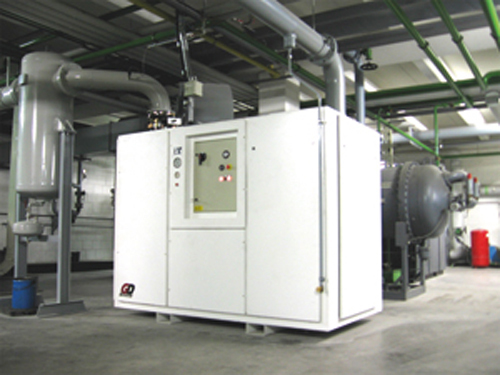 They chose the UV Series vacuum pumps and noted the following advantages: the UV units were delivered ready-to-use within a sound proof canopy, equipped with a main power switch, a control panel, an inlet filter and a large oil separator for the clean exhaust. The appearance was also different from the old Wittig units, which were mounted on a cement block and were large, heavy, noisy without a canopy and, most of all, water cooled. The UV Series efficiency was higher with pressure up to 450 mbar(a). The noise was significantly reduced and the exhaust fumes practically absent. In the long term, Wiegand-Glas realized that Pneumofore Rotary Vane Air Ends do not need to be overhauled, as the aluminium vanes are not consumable parts. By executing the ordinary maintenance only, they kept the UV vacuum pumps performance constantly up, even with units counting about 100.000 hours of operation. 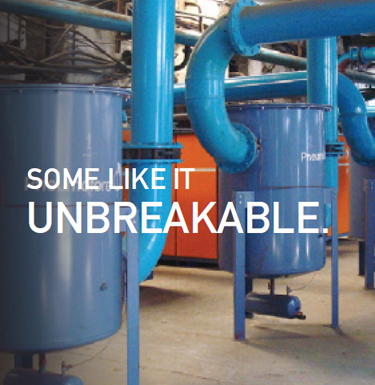 Over the years, Weigand-Glas has continued to rely on Pneumofore technology by installing UV50 vacuum pumps to meet their growing production demands.